Select the Journals tab on library.samford.edu and use the search box. The Samford Libraries Catalog searches everything cataloged by the University Libraries (books, videos, recordings, journals by title, etc.) but not individual articles. 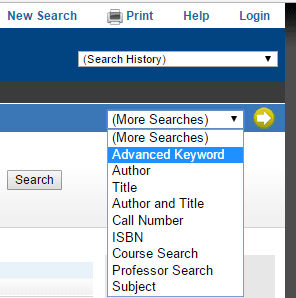 To limit search, in Samford Libraries catalog, go to (More Searches) dropdown on top right and select Advanced Keyword Search.